Want to sing in a competition and raise money for your charity? 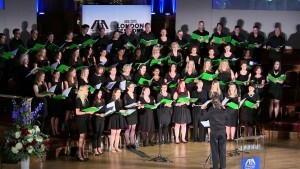 We provide opportunities for choirs connected to the legal sector to sing in competitions and raise money for their own chosen charities. Click the "about us" section for more information on how the events work. 2017 see the return of our "Clash of the Choirs!" competitions. Up to six choirs will take part in each of our two events, 13th July and 19th October, each raising as much money as they can for their own charity and each wishing to be crowned "Clash of the Choirs!" Champions. Singing a whole mix of genres, from traditional pieces to more modern tunes, choirs will give performances that will leave the audience in awe..... Come along and see what it's all about! 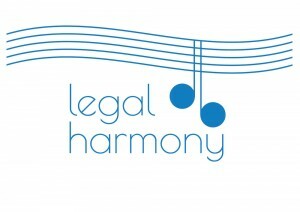 In 2016, Legal Harmony in conjunction with City Music Services put on a Musical Gala, inviting all choirs that have performed in our competitions to form a 200 strong Massed Choir at Central Hall Westminster. Accompanied by the National Symphony Orchestra the magnificent Lesley Garrett CBE as our headline act, the audience was treated to Handel's Zadok the Priest, Mozart's Laudate Dominum, Verdi's Triumphal March alongside more contemporary classics such as My Fair Lady, You'll Never Walk Alone and even Abba's Dancing Queen, which had all 800 members of the audience up and dancing. In total we raised over £13,500 for charity. If you are interested in coming or taking part please follow the links on this website. We are very proud to announce that Southwark Cathedral will be the venue for all events in 2017. Have a look at our Gallery page to see pictures from previous events.